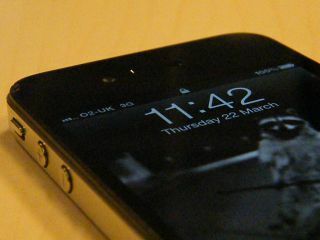 Apple's iPhone 5 will come with a 4.6-inch Retinal Display screen, according to new reports emerging from South Korea. We're all at sea about what to call the next iPhone after new iPad gate, but the new iPhone 5 seems to cover all bases. The news of the 4.6-inch display comes from an anonymous supplier source, who told the South Korean newspaper Maeil Business that Apple has started placing orders for the larger screen from suppliers for the new iPhone. If the rumours are true, it would put the new iPhone's screen on a par with the Samsung Galaxy S2, size-wise, staying shy of the Galaxy Note's massive 5-incher. The existing iPhone 4S screen does come with Retina Display pixel density but measures 3.5-inches and, we won't lie, does look a bit cramped compared to the rest of the majority of high-end smartphones on the market now. Still, there's no guarantee that these rumours are true, although we'd wager that Apple will plump for a larger screen in the new iPhone, and Retina Display is pretty much a given. And if that's not enough for you, check out our video below for yet more of our new iPhone 5 hopes and dreams.